Each post I write for Arcompany’s Social Justice series has opened the door for me to the stories of more companies that are focused on doing social good. In fact, I have discovered an entirely new world of social good promoters and advocates as well. Last week Katy Hiesterman, whose Twitter handle is BrandsofJustice and whose profile description is: “Just a mom who wants all of her family’s dollars to count for the oppressed wherever they are,” shared my post about Tiny Spark with Sword & Plough. I had never heard of Sword & Plough, but I soon discovered that they are a rising star of social good, in no small part to the clear plan that their creator, Emily Nunez developed with her sister Betsy, and their compelling story. 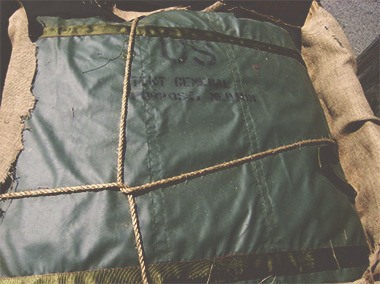 Sword and Plough re-purposes military surplus fabric into fashionable bags. Not only does Sword & Plough recycle material that would otherwise be burned in landfills, they employ veterans. Emily and her sister Betsy grew up in a military family, so it is not surprising that their company not only creates products from military gear, but helps to employ veterans. In 1994, John Elkington came up with the label “triple bottom line (TBL)” company in his book, Cannibals with Forks: Triple Bottom Line of 21st Century where he outlined the additional benefits companies enjoyed when they went beyond aiming solely for profits and created social good. As the idea developed and became embraced by consumers, a 4th dimension has been added. Quadruple bottom line companies add one more element as they focus on creating social good for People, Planet, Profit and PURPOSE. U.S veterans ages 18 to 24 have unemployment rates 16 percent higher than the national average. More than one million veterans are projected to leave the military in the next four years, and the crisis of veteran unemployment and related depression is projected to grow as a result.Sword & Plough aims to solve this problem by working with manufacturers that employ veterans and generating employment opportunities for retired soldiers. Our goal is to help veterans transition into civilian life by finding meaningful employment and a sense of purpose. REPURPOSED for a PURPOSE. From recycling military surplus, to working with veterans, Sword & Plough delivers high impact through its durable and stylish bags. 100% Made in America. Our products are hand crafted in the U.S. from raw materials made within the United States. Genuine. 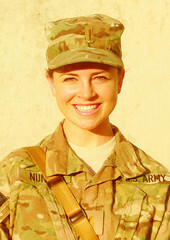 Our team is led by a U.S. Army officer and her sister who grew up in a military family. We work with manufacturers with veteran sewers who are transitioning to civilian life. Inclusive. We want you to join our story! 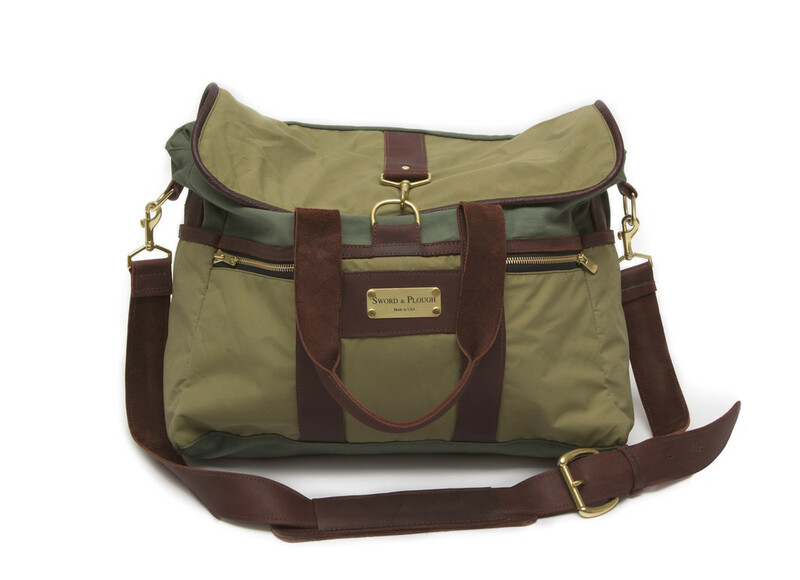 By owning a Sword & Plough bag, you become a model for veteran empowerment, positive social change, and style! Environmentally Friendly. By upcycling military surplus material, S&P uses up to 95% less energy and raw materials than bags made from non-recycled materials. Sword & Plough also wisely created a multitude of small, medium and large backer options, and received donations ranging from $5 – $5,000 packages. We’ve shipped over 500+ bags and are working around the clock to get more Rucksacks and Messengers handmade asap. We have overcome the hurdle of the tannery we were working with going bankrupt and our very large custom leather order is being cut as we speak. With that leather, we are ramping up production and more bags are being sewn now. We’ll be reaching out with an email to confirm your mailing address prior to your bag shipping. On the back of overwhelming interest from our feature in the TOM’S MARKETPLACE and our success at MASS CHALLENGE, Sword & Plough has experienced a surge of orders and is currently backlogged by over 1,000 bags. Our team is thrilled to have so much support from people like you! We invite you to join the growing list of customers who believe in our mission so fully that they are ready to wait for our products. As a young company, we are in the process of expanding our team, supply chain and manufacturing capabilities to meet this rapidly growing demand. We want to set realistic expectations for our fans and customers, soif placing an order today, please expect to receive your bag no earlier than Spring 2014. To join the wait list for S&P products, please select the items you wish to receive and go through the checkout process – your card will be charged now, and your bags will be delivered in the order that purchases were received. As you can see, the word ‘compelling’ is as fitting a descriptive as you can find when talking about Sword & Plough’s story, and the Traditional Press bit hard. The company’s News Page on their website links to stories in Bloomberg Business Week, Inc., Fast Company… and just about every major publication a start up could hope for. The Nunez sisters also garnered the support of an outstanding and well rounded Advisory Board that includes their Father Joseph, a 30 year retired Army Veteran, and Doug Rauch, the former President of Trader Joe’s. One thing the Sword & Plough founders can not be accused of is lack of preparation; I read a lot of articles about them, and nearly every one sights their clear vision as a reason for their ability to gain backing. The Sword & Plough website links to only Facebook and Twitter, although the product images are a dream for any Pinterest or Instagram addict. Sword & Plough’s Facebook Page has a solid foundation of just over 3,500, and is moderately active. Their content smartly mixes lovely product images with their own press as well as highlights ‘heroes’ regularly. ‘Posts by others’ are quite regular, with Betsy Nunez herself answering most queries. The old saying that busy people are the ones you want to ask when you need something done rings true here, although it will be impossible for Betsy to sustain this pace as the company grows so rapidly. is manning this feed too. The company’s incredible story is perfect for Tumbler, and I did find a profile for S&P there although as yet it’s not connected to their website. When you’re back ordered by 1000 bags one can understand why Social Media may have been put on the back burner, for now. From what I have learned about Sword & Plough, I’m sure the Nunez sisters and their team have plans to ramp up Social Media as well. In Early November, with the launch of TOM’S MARKETPLACE and their inclusion in it, Sword & Plough was given yet another platform to grow awareness for their brand and mission. As the company works frantically to fill the orders already placed, one can only imagine how fast and furious the company will grow. Keep in mind that all of this has happened while their CEO is on active duty in the US Army, currently stationed in Afghanistan. Sword & Plough is only at the very beginning of its journey as it fulfills its Quadruple Bottom Line goals; it will be inspiring and exciting to watch it reach, exceed, and then reset those goals. It’s one great story to tell on a Sunday afternoon.